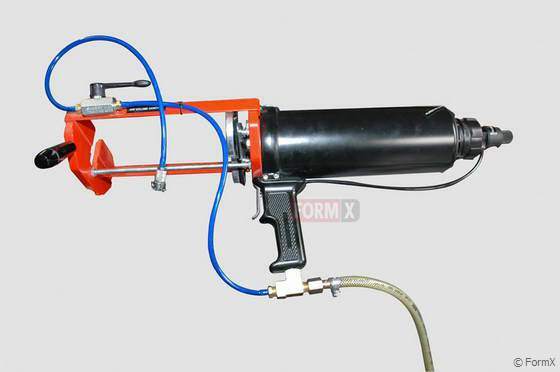 EZ-Spray Junior gun for spraying several EZ-Spray products. Has to be connected to a compressor. EZ-Spray silicone 20 Rubber / 5 Cartridge unit + 5mixers / (750mlA+750mlB/cartridge), Set = 8,5kg. EZ-Spray silicone 35 Rubber / 5 Cartridge unit + 5mixers / (750mlA+750mlB/cartridge), Set = 8,5kg. EZ~Spray® Silicone 20 is a sprayable silicone that cures quickly to a soft rubber with high elongation and tear strength. Liquid silicone is sprayed through the EZ~Spray® Junior Cartridge System which is an economical alternative to expensive spray equipment. 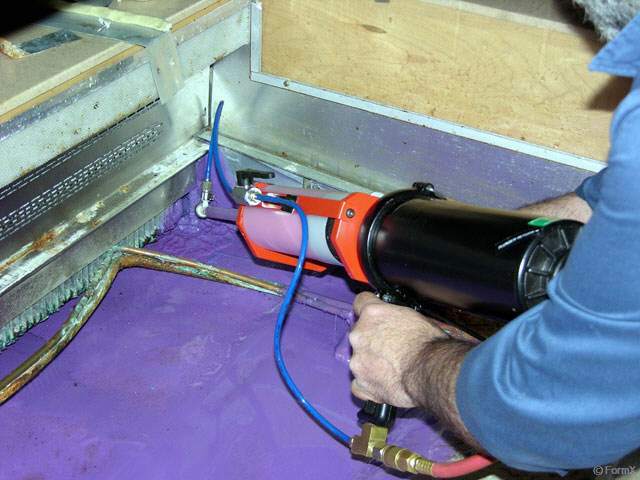 After a suitable spray thickness is attained, EZ~Spray® Silicone 20 cures in about 10 minutes with negligible shrinkage to a strong, durable mold rubber good for production casting of polyester, epoxy or urethane resins, gypsum, concrete and other materials. 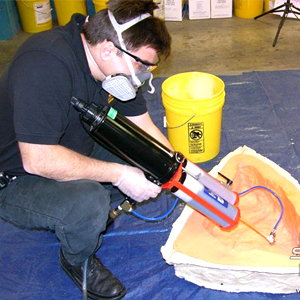 EZ~Spray® Silicone 20 is effective at making fast, cost effective vacuum bags for producing composite parts. 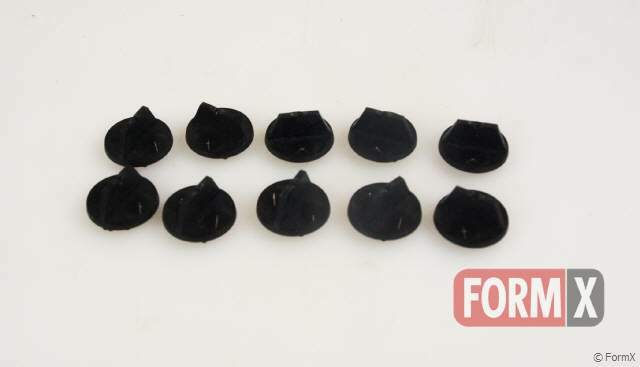 Newly sprayed or injected bags can be removed from the mold in 10 minutes and used immediately in production with polyester or epoxy resin systems. The advantage that EZ~Spray® Silicone 20 offers vs. conventional vacuum bagging systems is the speed at which a production-ready silicone bags can be made resulting in significant time and labor savings.Yield - Each cartridge contains 3.75 lbs. (1.7 kgs) of material. 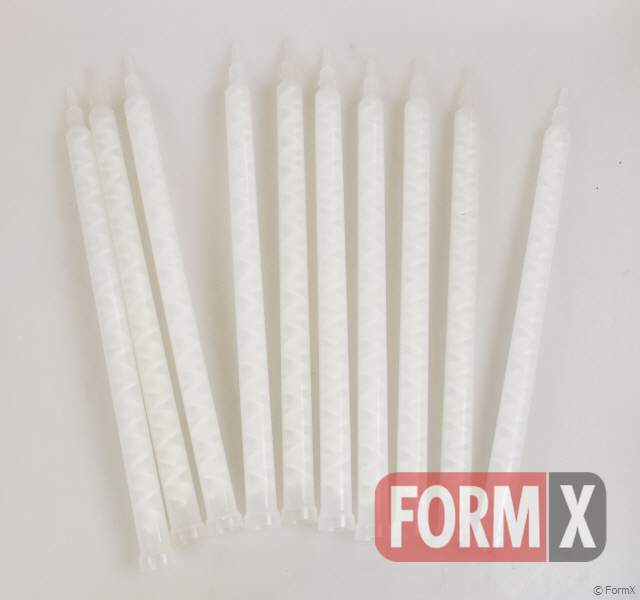 Assuming a thickness of 3/8 inches (0.95 cm), one cartridge of EZ~Spray® Silicone 20 will cover approximately 1.66 sq. ft. (0.15 square meters). 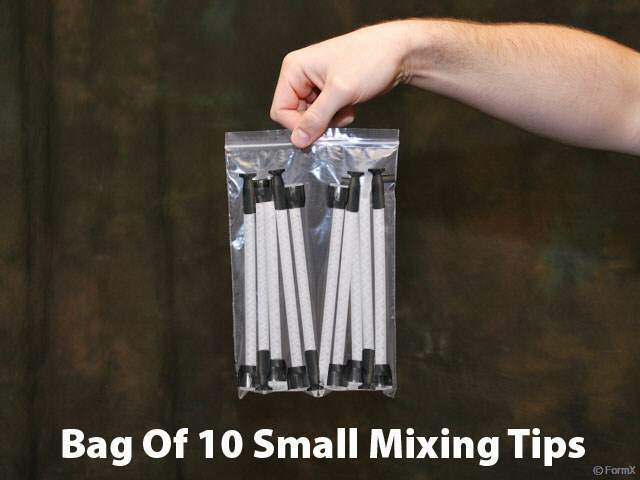 EZ-Spray Jr. SMALL Static Mixers -Bag Of 10 (Includes Spray Tip) Description; NEW EZ~Spray Jr. SMALL mixing tip for spraying EZ Spray plastics, foams and urethane rubber. Comes with spray nozzle attached. Bag of 10 tips;Bag of 10 LARGE EZ-Spray® Jr static mixers for EZ-Spray® STYROCOAT, EZ-Spray® Foam, and EZ-Spray® 45 Urethane Rubber. 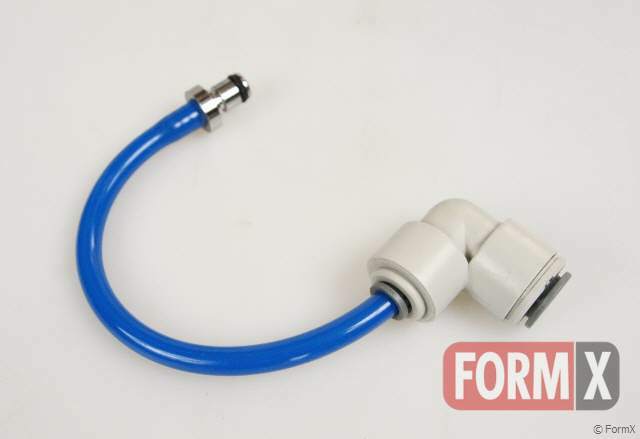 Includes spray tip and threaded collar. 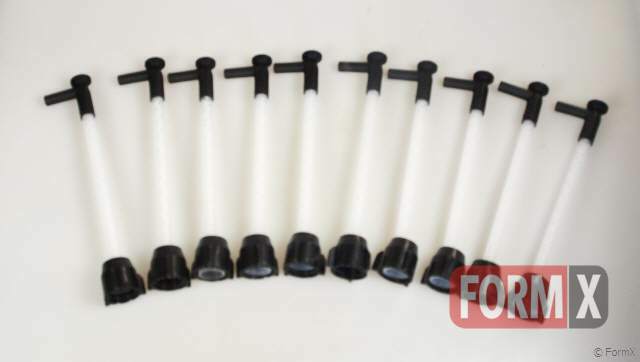 EZ-Spray static mixing tubes large - bag of 10pcs. EZ-Spray Jr. LARGE Static Mixers -Bag Of 10 (Includes Spray Tip) Bag of 10 EZ-Spray Jr LARGE Static Mixers for EZ-Spray® Silicone 20 and EZ-Spray® Silicone 35. Includes Spray Tip.